Everything you want to know about why we are selling everything we own and going on the road full time in a school bus! T-Minus 10 days! The countdown to launch has started!! Update for everyone that is following along!! Yesterday we received confirmation that our house passed the FHA appraisal and that our closing has been confirmed for April 14th at 12:30pm! This adventure just become very real! Until now there have been lots of unknowns as the FHA appraisal process can be very fraught with unexpected delays. Fortunately, we have kept on top of everything and we are good for launch! We have lots of stuff still to get accomplished in the next 10 days. We have the final packing and cleaning that need to be completed. Some final house related repairs and punch list items that we indicated we would address before the new owners take possession. Below is our current timeline and where we will be going to and from over the next 2-3 weeks. We will be posting some small updates on Facebook between now and then, but our updates here on the website maybe a little sparse as we push through the final preparations. For the latest updates, be sure to check our Facebook page! April 14th - House closing at noon. We will then immediately depart for Toledo to pick up the bus on Sat morning. April 15th - Bus pickup day!! We will spend the day with the current owners getting all of our paperwork in order and do a walk through of all the bus systems with the current owners. April 16th - We will depart for a return to Nashville with a stop in Columbus to see a friend. April 17th through the 19th - We will stop in the Cincinnati area to see Mel's parents and other friends in the area. April 20th - We will return to Nashville. April 21st through May 5th - We will be stationary in the Nashville area getting the bus outfitted and ready for travel. We are super excited to be blasting off on this Adventure! Thank you to everyone that has supported us and provided words of love and encouragement as we push toward living life differently. Until later!! Remember ... Less Stuff, More Experiences!! We are the Meredith Family and we are about to embark on Our Most Excellent Family Adventure! Join our family of 4 as we travel the world in a converted school bus. We Found Our New Home! In our last update, I shared our plans for getting on the road after the house closes in a couple of weeks. Well, we have some super exciting news to share with everyone!! We have found our bus!! Or maybe, I should say, our bus has found us! PHOTOS AT THE BOTTOM OF THIS POST! 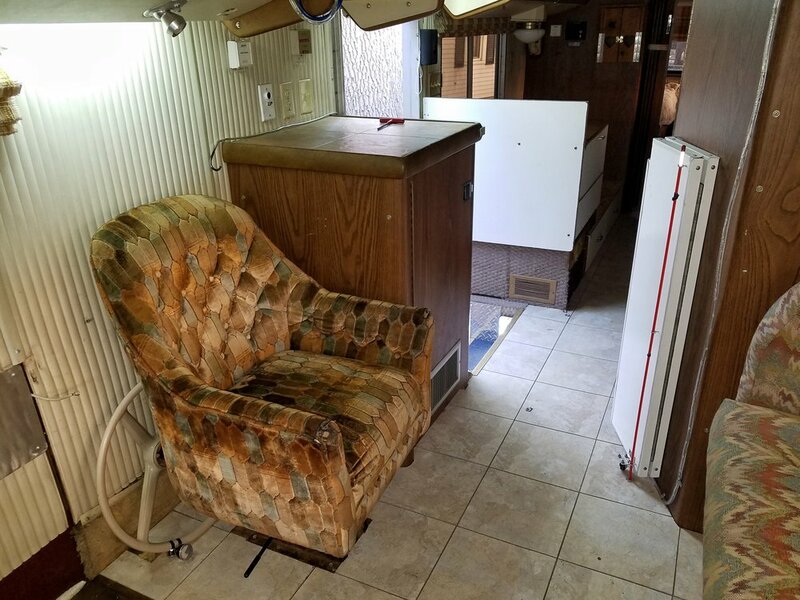 Since making the decision to NOT move forward with a full bus conversion for our new home on wheels, I have been searching Craigslist, eBay and any other place I could find, for a Blue Bird Wanderlodge that would fit our needs. I have also been posting to various forums and Facebook groups about our desire to locate a bus for our upcoming adventure. One of the most helpful places has been the website for the Wanderlodge Owners Group. This is a website dedicated to everything Wanderlodge. 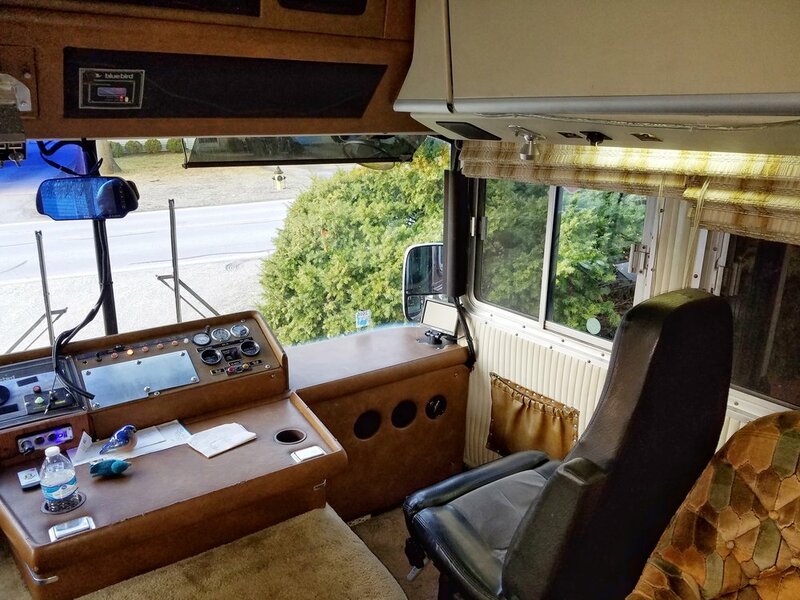 It is an amazing community filled with passionate and helpful folks who love their Wanderlodge buses and they love to help others find a passion for them as well. 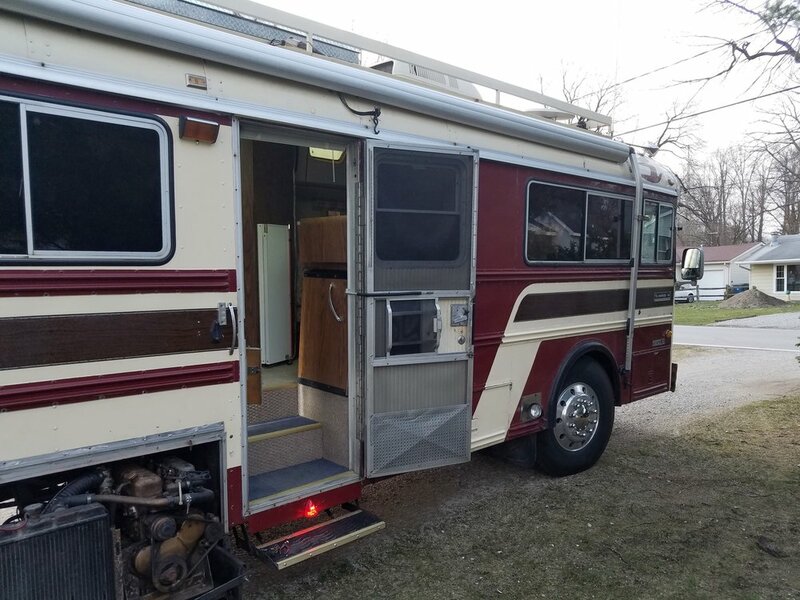 After posting to this site what we were looking for in a bus, an amazing couple, Rick and Chris, from Toledo, OH, reached out to me and indicated that they have a bus that may be just right for our family to take out on the road. And man, was he ever right!! I will write up a separate post about Rick and Chris, as their story deserves its own home here on our site. Needless to say, they are an amazing couple who are excited about the vision we have for our family. After Rick reached out to me on the WOG forums, we spent several hours talking on the phone and going over all of the particulars. Rick has had the bus for 6 years and during that time has made many improvements and addressed many maintenance items on the bus. He has ensured that it is mechanically sound and ready for travel. He and his wife have regularly used the bus for traveling to the Ohio MIle, an very cool race track in Wilmington, Ohio. More about Rick and his history in racing in my future post. After discussing the bus with Rick, we made the decision to travel up to Toledo to check it out. I will post photos and videos from this trip in the next day or so, but needless to say, it was everything we have hoped to find and then some! We plan to finalize the purchase in the next couple of weeks once our home sale closes. 150-180K miles on the original engine (odometer stopped working well before this so actual mileage not known), which for a diesel is nothing when well cared for, as they are designed to run a million miles. I cannot express how incredibly happy we are about this bus and what it means for our family as we head out on Our Adventure. The gratitude that we feel to Rick and Chris for sharing something that we know means a lot to them, is endless. We are so incredibly thankful that fate has brought them to our lives. Thank you Rick and Chris! Our home was on the market a week when we received an offer for purchase! The housing market in Nashville is truly crazy! If all goes according to the current plan, we will be houseless by mid April and moving forward with Our Most Excellent Family Adventure. Since our last update, there have been a few changes to our plans regarding how we will be traveling on the road. This post will share some of those details and how we came to these new decisions. Our plans for many months now, have centered around converting a used school bus for our family to live in full time. There are many reasons why we made this decision, which you can read more about in our post Why a Skoolie?. But after a lot of contemplation and reflection about what is important for our family and our future on the road full time, we have decided to travel down a slightly different, but related path. Choosing how to live on the road is no easy decision. There are so many variables that have to be taken into account. So many decisions about what is important for our desired quality of life on the road - what are the things that are truly required and what are the things which are wants or desires. I will detail these decisions and why we made them further in another post soon, but needless to say, it is a lot of information to contemplate, discuss and decide upon. One of the biggest factors influencing our decision to delay the conversion, was timing with the seasons of the year. A bus conversion is ideally completed when the weather outside is cooler and there are lower chances for inclement weather. The original timeline anticipated that we would have our home sold by late February or early March. We then planned to travel to Florida where we would begin our conversion on a friends rural property. But, with our timeline changed, we would not likely get started until mid to late May with completion sometime in June/July. This timeline would require that we work on the conversion at a time when daytime highs in FL would be well above a point where workinging inside of a tin can would be very uncomfortable. Once we realized our timing would be off for a comfortable conversion, we then started looking further north, and we found a couple of additional locations that would provide the right temps and weather. But, after a lot of conversation between Mel and I, we realized that getting on the road in July would adversely affect other plans that we have been looking at making throughout the spring and early summer. It seemed like a shame to miss out on some of the best parts of the year for travel working on building our home. This would come after the many months of blood, sweat and tears put into getting ourselves free of all the encumbrances of the American Dream. It kind of felt like we were jumping out of the frying pan and into the fire. So, we have decided to do the next best thing, we are going to buy a school bus that has already been converted for full time living! 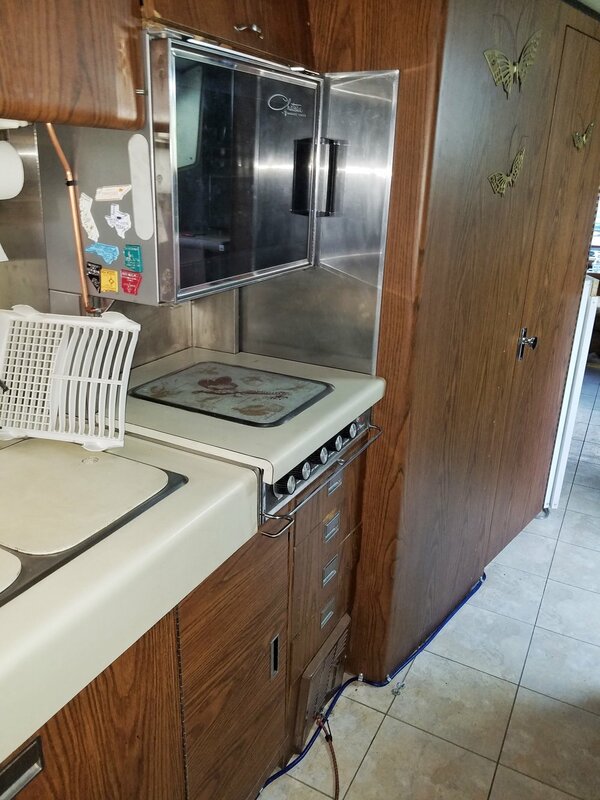 We could have gone with a small Class A or Class C motorhome, but our decisions about why to go with a Skoolie were too important to pass up - safety, reliability and specific design/ability for full time living. We have a couple of options when it comes to purchasing an already converted bus. We can look for a Skoolie that someone else has converted, and this is still an option, or we can purchase a very unique vehicle that we learned about: The Bluebird Wanderlodge. The Bluebird Wanderlodge is a factory converted recreational vehicle that the Bluebird Bus Company made from 1963–2009. The early years (prior to 1989), the Wanderlodge was factory converted using an actual school bus frame and body. Later, after 1989, Bluebird moved to producing the Wanderlodge as a custom wide body coach, similar to other large touring coaches and Class A vehicles. 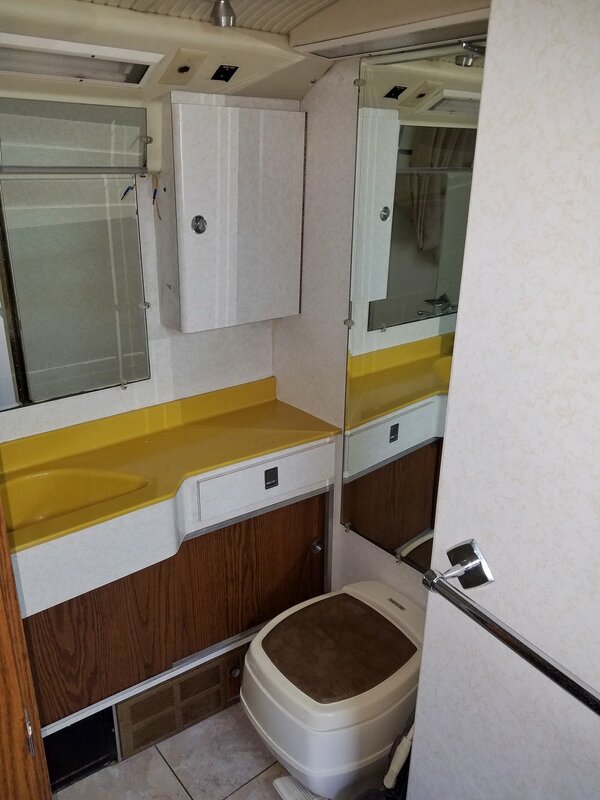 These later designs have fewer associations with school buses, but are still of an incredibly high standard for recreational vehicles. For us, the look and character of the early Wanderlodges (1977-1988) spoke the most to our sense of fun and character for the adventure ahead. 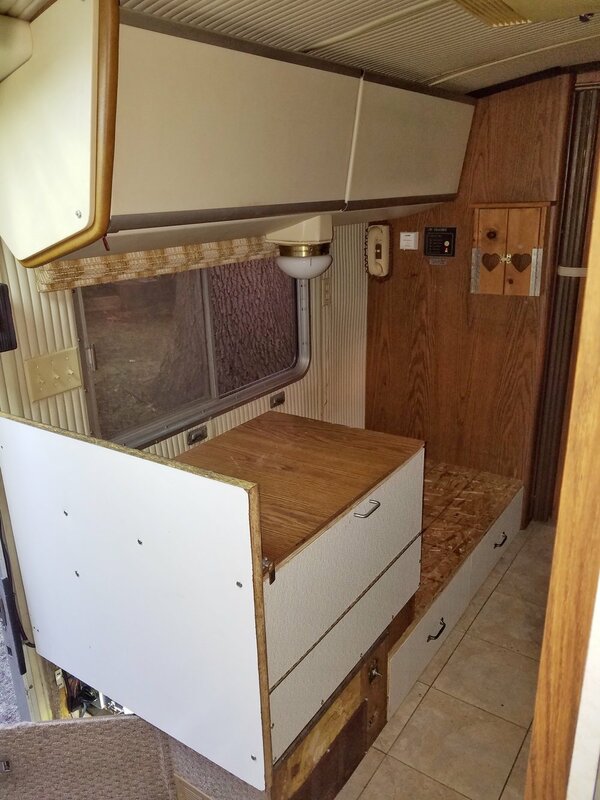 They are incredibly well made, have all of the basic things needed for full time living on the road and they look incredibly cool! 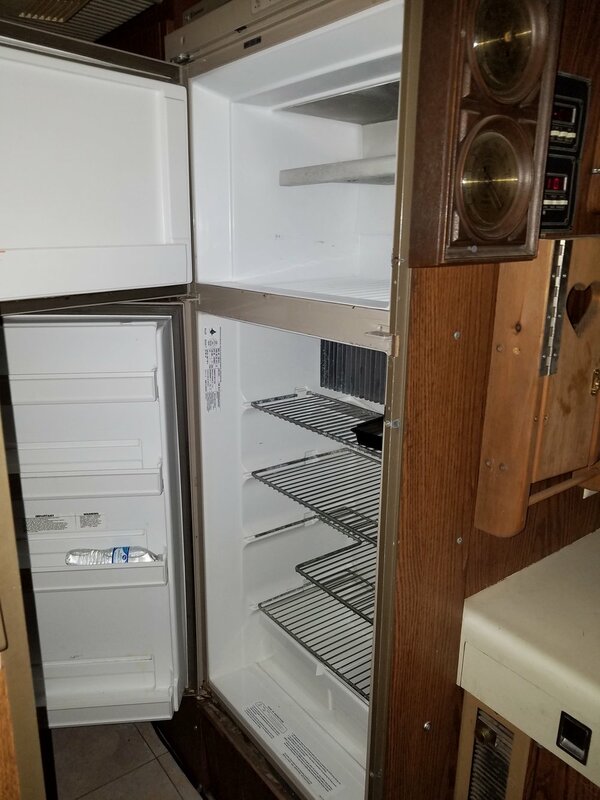 We can purchase a well maintained 1980's Wanderlodge, at a reasonable price, and have a home that we can immediately begin our adventure of traveling and seeing the world around us. We plan to purchase our new home shortly after closing on our house. The Wanderlodge will, for the immediate future, likely be our new home on wheels. While it is a departure from our original plan, we are still able to pursue the mission and vision that we have for our family and the new chapter in life ahead of us. As we are finding to be so very true about our new push for more experiences and less stuff, being flexible and willing to adapt is so incredibly important when you are chasing your dreams! Of course, we will have more details on this coming soon. Our House is for sale!! The day has arrived!! Our home is now on the market here in Nashville. This is our last checkpoint before we go on the road full time in a school bus! If you or someone you know is looking for a great piece of property within 20 min of downtown Nashville, check it out!! Why? I mean really! Why? But seriously, we have a long list of reasons that starts with a depressing analysis of the life we’ve been living. The life we’ve been “living” is merely an existence. It is exhausting, depressing, stressful, and soul sucking. Also known as pursuing the American dream, we’ve been living in a cycle of work, get paid, pay bills, run out of money, rinse and repeat for a few years. There is no advancement and worst of all, we’re passing this cycle on to our children. You might think perhaps we’ve been living a life of excess or beyond our means. Beyond our means, yes, but excess, no. Our house isn’t big or expensive. We had (since sold) a Craigslist find car that Jamie used for work and an ok truck. We eke by managing a mortgage, truck payment, and basic utilities. One day we came to the realization that all of the stuff was weighing us down. It was not the dream we had vision for growing. It had become an illusion. All the things were owning us, driving our decisions and taking away precious time that we have together as a family. So ... we decided to ditch all the stuff in favor of creating memories and experiences for our children. Ultimately that is our life purpose, at least for right now, is to ensure that our children have the experiences and social perspective to go out into the world and be change that we all know we need to be. Who is the Meredith Family? Jamie (42), Mel (45), Jensen (9), and Maddie (8) plus our 3 cats, Roo (13), and Eddie and Eli (littermates 3). Jamie is an entrepreneur with experience in the print industry (7 years), photography (20 years), woodworking and finish carpentry (10 years) and web technology (15 years). Mel is a stay at home mom with 10+ years experience in accounting and a master’s degree in marriage and family therapy. Jensen is a raw talent musician and buddy magician. Maddie has the heart of a starving artist. The cats like to eat, drink, go outside, and lie on soft blankets. What in the world are we doing right now? Update Feb 28, 2017 - House is officially on the market and ready to be sold. Updated Jan 24, 2017 - We are about 90% done with selling almost everything we own - minus the minimal amount of sentimental items we will be able to cram into a small storage unit. Currently we are getting the house cleaned and repaired in preparation for listing in about 2 weeks. 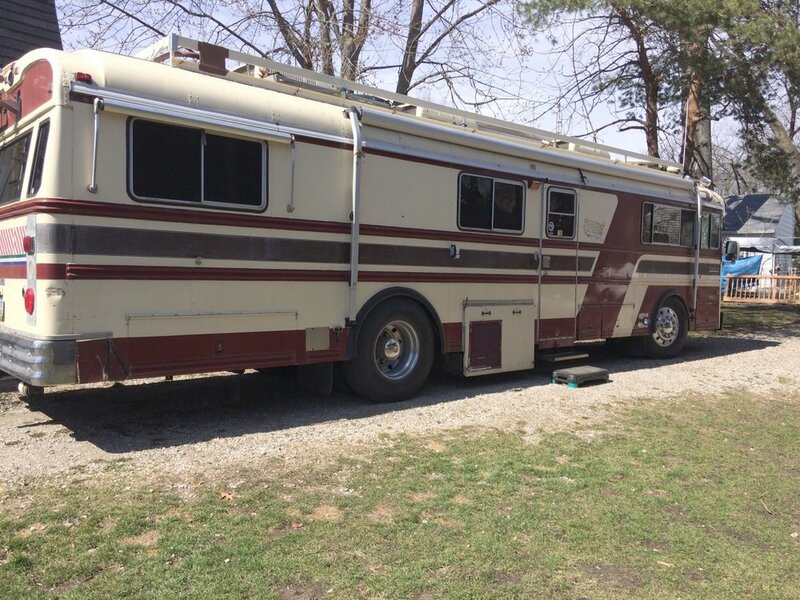 Immediately after the sale of our home, we will be buying a school bus to convert into our new home on wheels and begin exploring the world as a family. We intend to chase 60-80 degree weather for the next few years. There is no end date in mind. Ultimately we would like to find our way to South America and beyond! Jan 2017 - We began selling our stuff!! All of it, all the time, to everyone. It all must go!! Hundreds of sale listings, thousands of text messages and Facebook messages, "no shows" galore, multiple day garage sales, deliveries, junk haul off, recycling haul off, house cleaning, more organizing, more downsizing ....... less stuff. Dec 2016 - Began the process of filtering through belongings and began initial planning for how we would go on the road. At first we thought we would go the travel trailer route, but after many hours of research determined our best option was to convert a school bus. Follow our family as we explore more experiences and less dependence on stuff! We respect your privacy and will never sell or share your personal information. A list of those who have gone before us and provided inspiration along the way!